From your location at the Dead Sea, our driver will pick you up and continue to the Baptism Site “Bethany Beyond the Jordan” (Al-Maghtas). 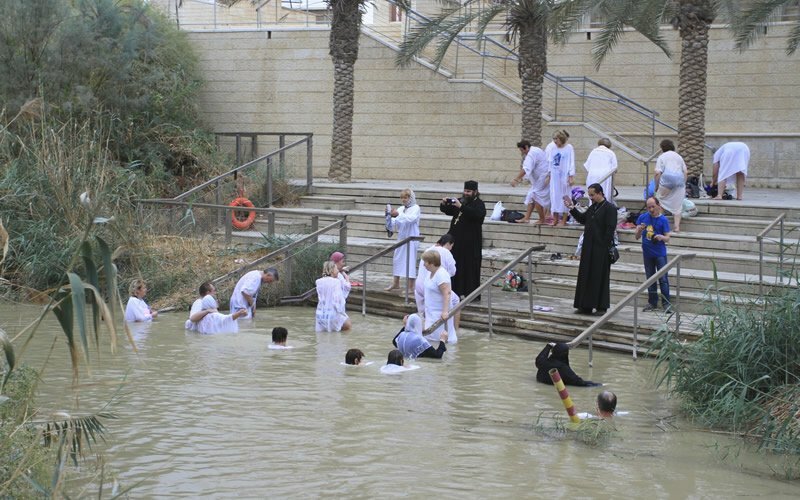 It is situated on the eastern bank of the River Jordan, nine kilometres north of the Dead Sea. This Christian pilgrimage site is believed to be the location where Jesus of Nazareth was baptized by John the Baptist and features Roman and Byzantine remains including churches and chapels, and a monastery. After, continue to Mt. Nebo. 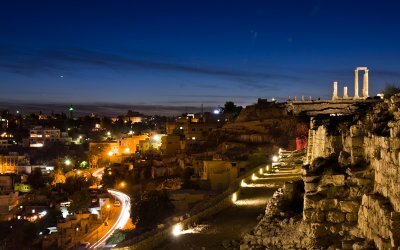 Retrace the steps of Moses and admire the spectacular view of the Promised Land just as he did over 2,000 years before. It is very easy to feel that you have arrived some place special. On a clear day Jerusalem, Jericho and the Dead Sea can be seen. A memorial in Moses’ honor can be found at the entrance to the early Byzantine Christian church where Moses is believed to have died. After a short drive arrive to Madaba to view the oldest preserved ancient mosaic map of the Holy Land dating back to the 6th century BC located within the Church of St. George. After a great time of exploring the city of mosaics, we will transfer you to your hotel at the Dead Sea.